Serve it by Sack it is a practical side cart with two tiers. It convinces with its circular appearance and can be moved easily back and forth thanks to the four wheels. 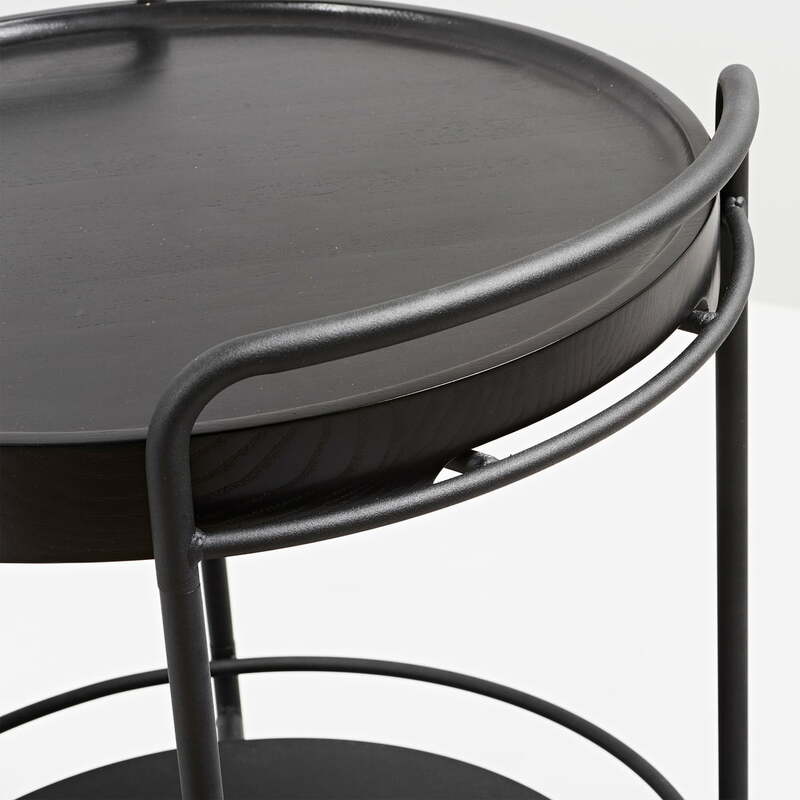 The side table is made of steel and has two tiers, on which different items can be decoratively placed. 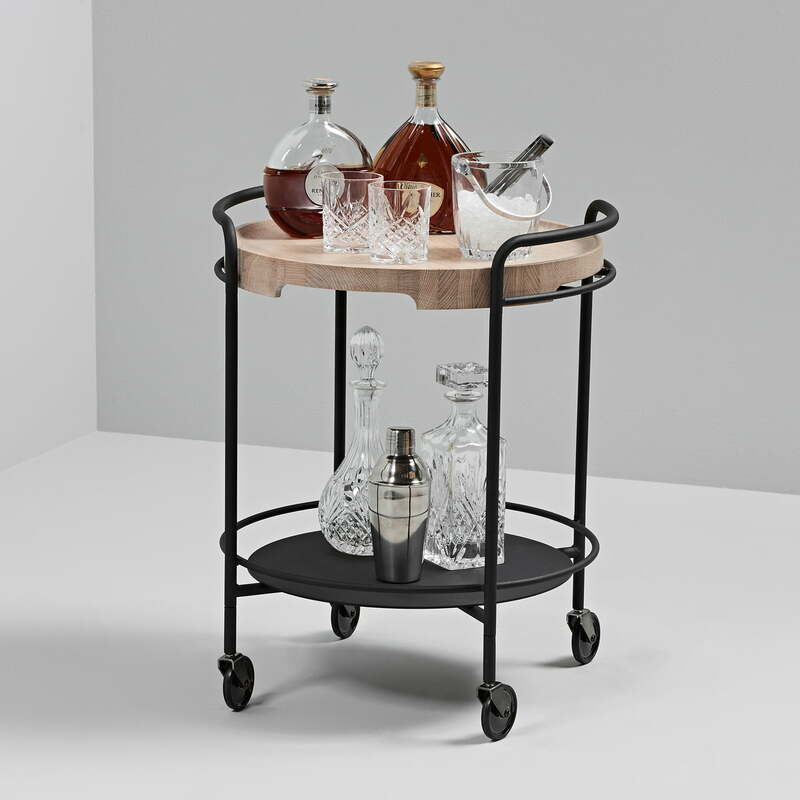 Serve it can be used as a mobile bar. Spirits can be kept on the upper surface, while the glasses can be placed on the lower one. Books, flowers or candle holders decorate the cart perfectly. And the best thing: Serve it is always there where it is needed. If you fancy a change, the Tray it tray by Sack it is available separately. 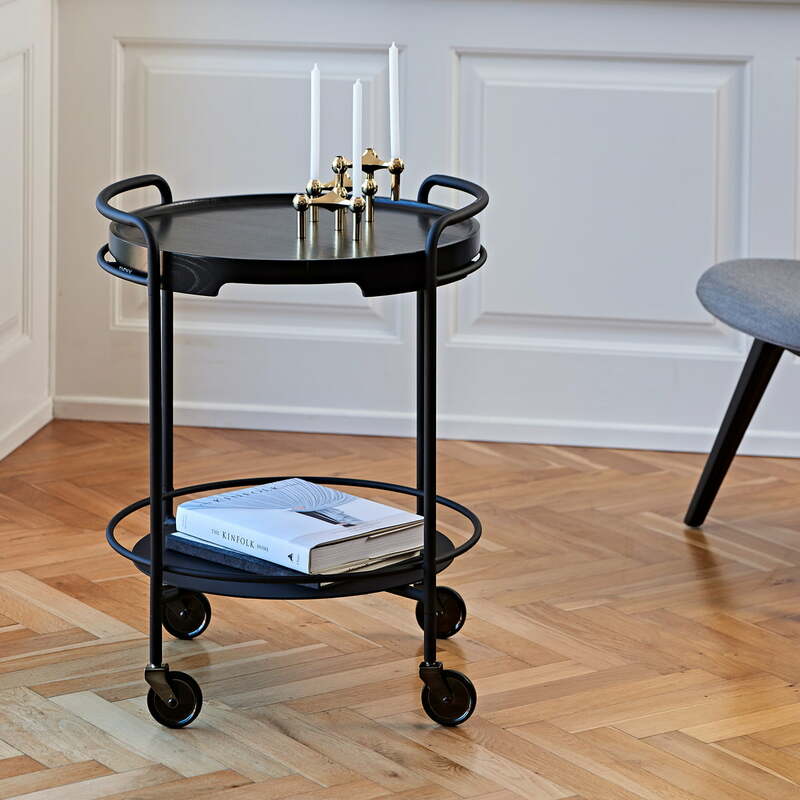 It can be placed on the upper steel surface of the trolley, thus creating a table that is charming thanks to the steel and wood. 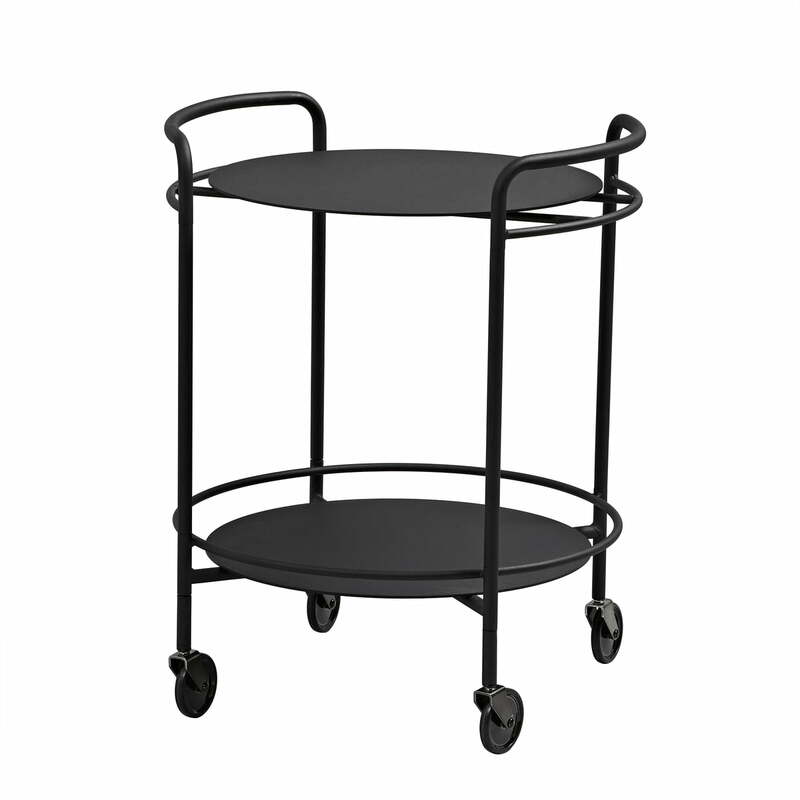 Isolated product image of the Serve it mobile side table: Serve it by Sack it is a practical side cart with two tiers. It is made of steel and has two tiers. The Serve it side table by Sack it in lightly stained oak. Books, flowers or candle holders decorate the cart perfectly. And the best thing: Serve it is always there where it is needed. The Serve it side table by Sack it with Tray it: The mobile side table is wonderfully complemented by the Tray it tray. The Acacia wood and steel make an interesting combination. Serve it side table by Sack it with Tray it in lightly stained oak. Serve it can be used as a mobile bar. Spirits can be kept on the upper surface, while the glasses can be placed on the lower one. The Tray it tray by Sack it provides a change. 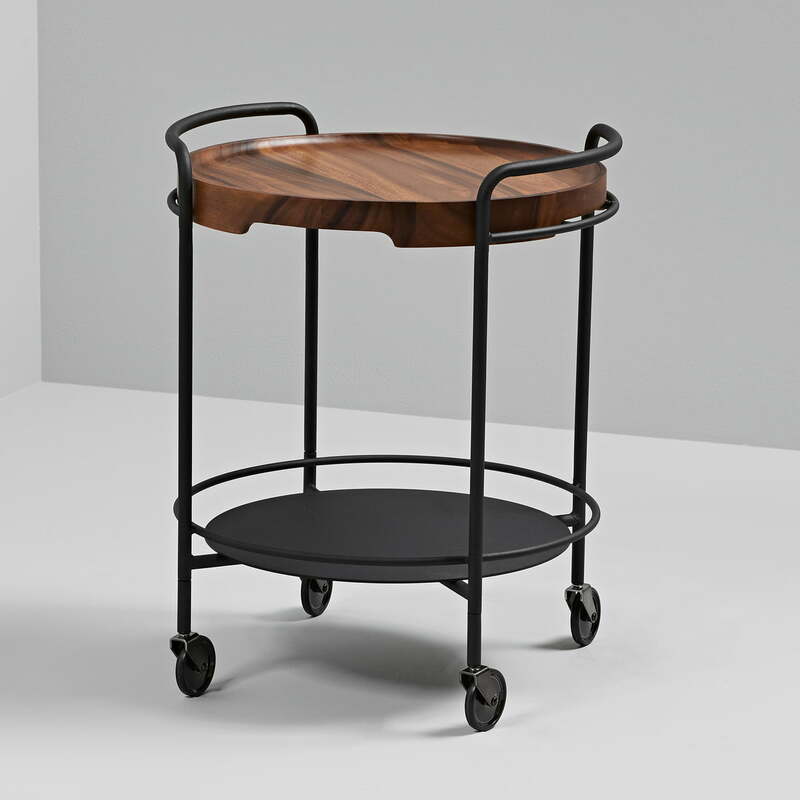 It can be placed on the upper steel plate of the cart, thus creating a table that convinces with the materials steel and wood. 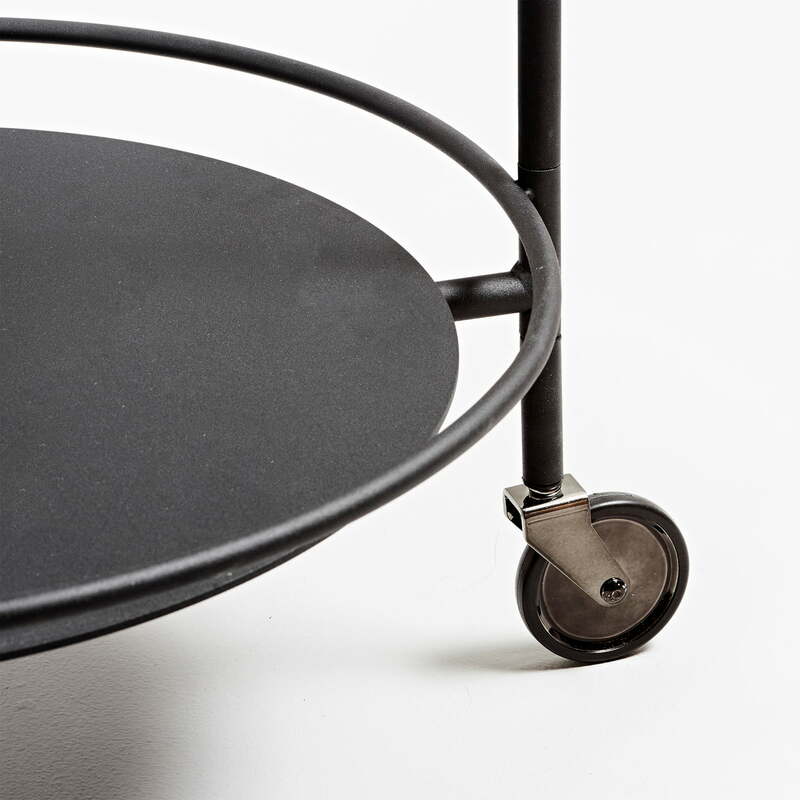 The Serve it side table by Sack it with Tray it: It convinces with its circular appearance and can be moved easily back and forth thanks to the four wheels.